Just because you're in a mall doesn't mean you can't eat well. Shopping on the weekend can be the pits. Loads of people. Zero car parks. And then you have to find something to eat. 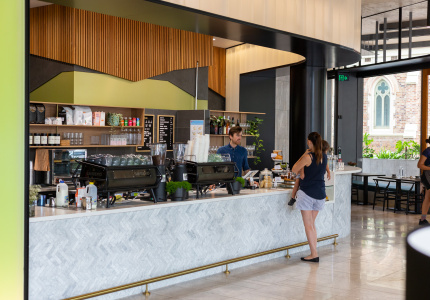 Shopping-centre food options have come a long way in recent years but when you’re knee deep in bags, things can get a little rabbit-in-the-headlights – particularly with so many easy option chain vendors waiting to take your money. That’s where Broadsheet comes in. 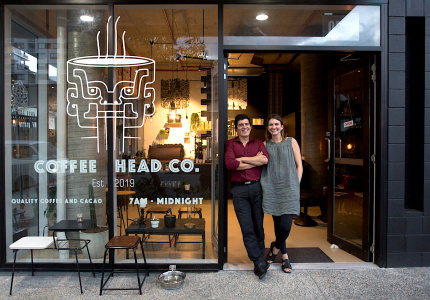 We scoured three major shopping centres in Brisbane and asked insiders at each where they like to eat, drink and get coffee. Here’s where they go and why. 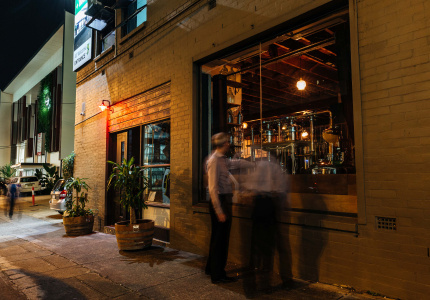 You hardly need to eat in Garden City, given its enviable position near a bunch of Brisbane food hotspots. 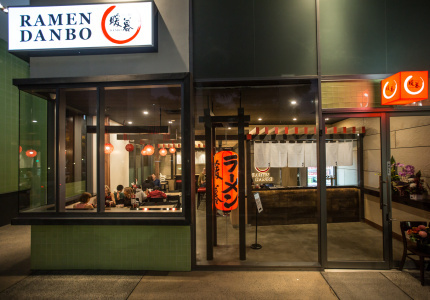 Sunnybank with its crowd of cheap Asian eateries is a short drive down the road, while local classic Chinese Garden is the perfect spot for a late-night shopping debrief. But the centre punches well above its weight too, with a clutch of excellent little food and drink haunts scattered across its two levels and food court. 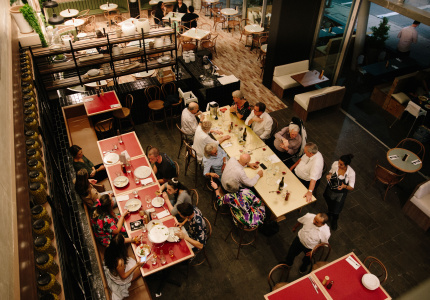 When it comes to lunch, Rouse visits 8 Street (level-one food court, opposite Coles). “It’s like a mini Asian street market,” she says. “There’s Korean, Thai, dumplings, bubble teas and everything in there.” There’s also a beer garden, which offers beer on tap, cider and wine. 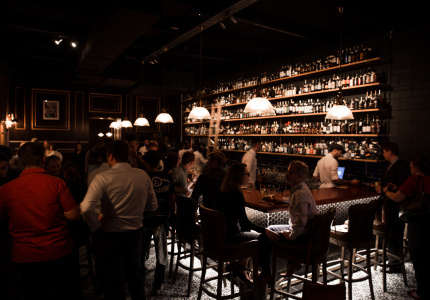 It’s easy to get lost in Westfield Chermside – Australia’s second-largest shopping centre by its number of stores – let alone find somewhere good to eat and drink. Linda Li works at the OPSM inside the centre and knows where to go. For coffee, Li hits up a tiny French patisserie on level two called Savour (level two, The Laneway, Outdoor Dining Precinct). 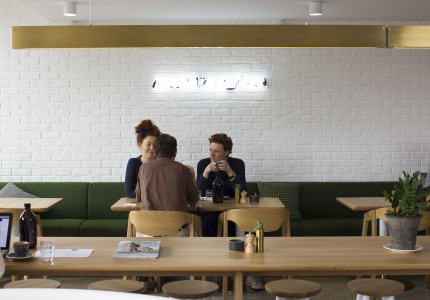 “[They] have great coffee and yummy eclairs,” she says. 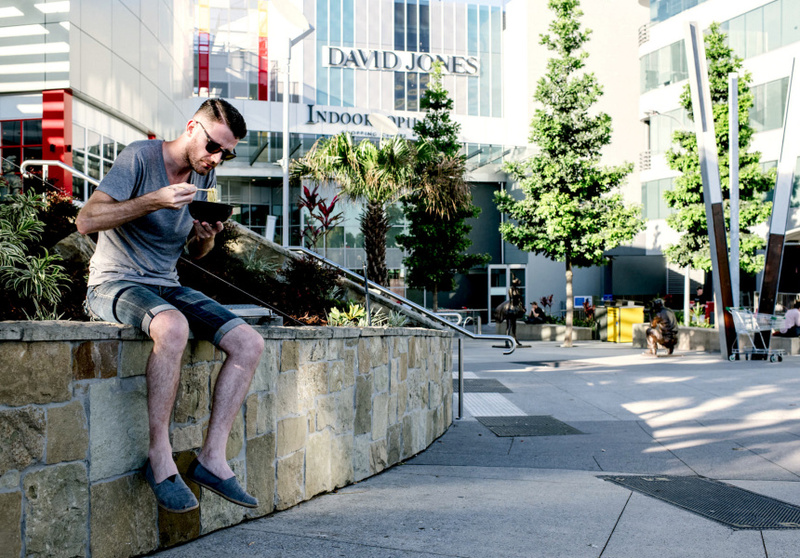 Any Indooroopilly Shopping Centre regular will tell you it has lagged behind the other major malls in adding quality food options (and has recently lost major eateries such as Nantucket Kitchen and Corbett & Claude). But the centre is currently undergoing a minor transformation of its outside food precinct. It recently added a Betty’s Burgers and a Motto Motto is soon to open on a decent strip that already boasts Harajuku Gyoza and Lord of the Wings. 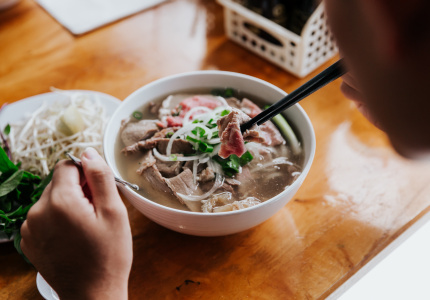 In the food court proper, Phúc Deli-Viet does a good plate of chicken rice, while ramen masters Hakataya ladle up arguably Brisbane’s best cheap bowl of noodle soup. De Luna recommends Soul Origin in the food court for a cheap lunch. “Everyone goes there because it’s healthy, cheap and quick,” De Luna says. She usually orders one of the lunch baguettes or chicken wraps. 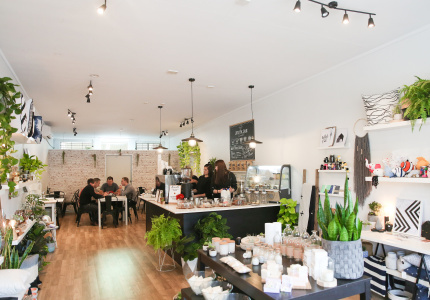 Beyond the centre, there’s a bunch of options in the nearby suburbs. 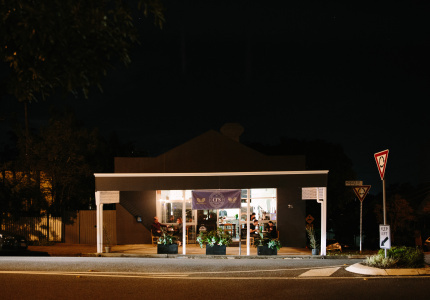 Graceville’s Hunter and Scout is a local haunt for elevated breakfast washed down with Fonzie Abbott coffee, while Renata Roberts’s small fiefdom of Kenmore restaurants – Stavros the Greek, Pizzeria Violetta and Sichuan Bang Bang – is an excellent spot to wind down with some lunch or dinner.